Anyone who knows me knows that my sweet tooth will one day be the death of me. More specifically, brownies will probably be the death of me. One time when I was away at university, I woke up in the middle of the night with such bad cravings for brownies that I cried because I couldn’t go out to get any, as all of the stores were closed and I didn’t have a car at that point. The love is so real, my friends. I have always admired the recipes that come from Martha Stewart, Robyn Lawley, Oprah Winfrey and Julia Child, and decided that I was going to follow in their footsteps and bake some brownies of my own. 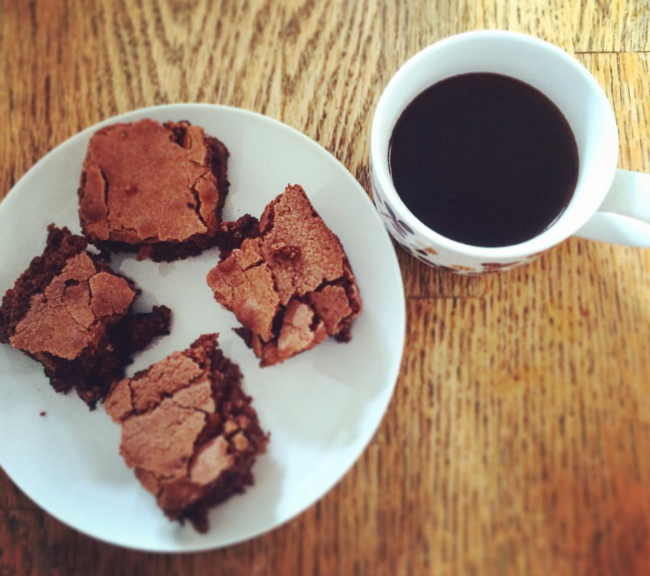 For most of my baking career, I have always bought store-bought brownie mix, since that seemed hard to mess up. After scouring the web for a homemade recipe that wouldn’t be too hard to make, I finally stumbled on this one. And I have to say, this recipe will make your mouth water. After making just one batch of these homemade brownies, I began to wonder why I had ever made them from a store bought mix ever in my life. The brownies were light and the texture was so moist. They also weren’t too rich or heavy, so the sweetness didn’t make you feel sick to your stomach. Left to my own devices, I probably would have eaten the entire pan to myself. 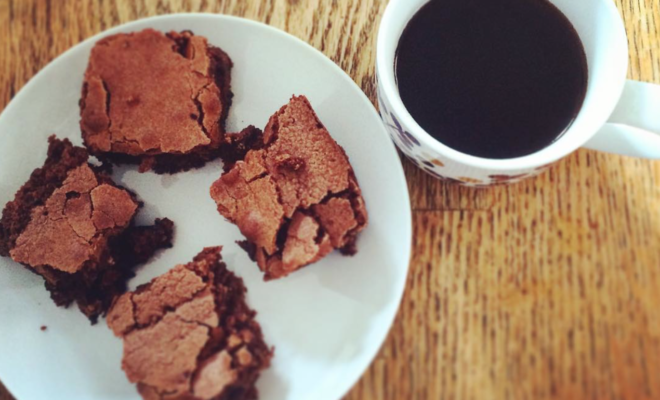 If you’re looking for some good homemade brownie inspiration, you need to try this recipe. Trust me, it will be a hit at your next potluck. Mix sugar, cocoa, eggs and vanilla; gradually add flour and salt. When that is mixed, blend in butter. Spread in a 9×13 inch pan. No baking soda or powder is needed for this recipe. Cuts into squares of 12. Writer. Stylist. Model. Activist. Lover of coffee, animals, donuts, pretty things and Leonardo DiCaprio.